It doesn’t get better than this, sitting by the fire, enjoying milk and cookies after a long night delivering presents. 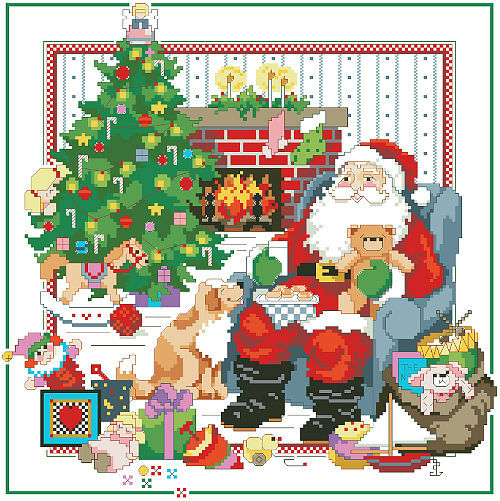 Santa is surrounded by the best of Christmas in this wonderful design by Linda Gillum. His loyal dog by his side, candles and firelight warm the cozy room as Santa thinks about all the good and happy children who will wake up Christmas morning to find their toys. Merry Christmas to all!